Catch the pot of gold at the end of the rainbow with this Betsoft release - Charms and Clovers.Developed with an Irish theme this slot will definitely have you hooked. It features different Irish characters who offer wonderful prizes. Charms and clovers is a 6-reel, 4-row and 40 payline slot with wonderful bonuses, wilds and scatter symbols making this slot exhilarating and fun to play.So get ready to interact with the Leprechaun in this slot as you spin the reels for big wins. Charms and Clovers is an exciting and fun slot to play with extra bonus features which makes it exhilarating to play. The characters in this slot are Irish related and the leprechaun being high paying is the symbol to look out for. 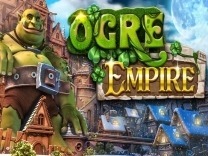 The theme of the slot is excellently delivered and players can feel that they are indeed in Ireland. The graphics and visuals are also developed perfectly with intricate details incorporated into the slot icons.The slot is set in a forested woodland with the leprechaun standing by the slot reels. The leprechaun is animated and will always smile and dance as you and winning combinations. Because this is a low to medium variance slot you will receive smaller and regular pays but you have to be patient if you want to play the extra bonus features.This slot will load perfectly with no downtime. 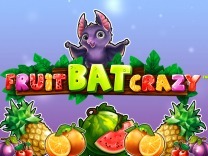 So get ready to play this slot and hope for big wins. It is recommended for all players whether a novice or veteran. 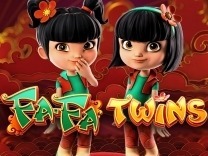 To play this slot, you have to familiarize yourself with the different characters which are incorporated into this slot. 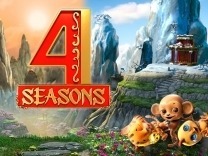 You will find different characters such as the leprechaun, rainbow lucky 7, clover, pot of gold, horseshoe and a beer mug. These are the high paying symbols in the slot with the highest amount which is paid out being 5000 coins for matching 6 of the leprechaun symbols while the lowest amount is 30 coins for matching 3 of the beer mug symbols on a payline. There are also generic card symbols A, K, Q, and J featured in this slot. These are the lowest paying symbols with the highest amount being paid to be 150 coins for matching 6 of the Aces symbols while the lowest amount being 3 coins for matching 3 of the J symbol.Unlike most slots where you would find the 10 icon, this slot replaces the 10 with the bar symbol. this symbol pays 200 coins for matching 6 of the bar symbols.To place a bet players can use the -/+ button at the bottom of the slot. You will be required to choose the coin value which ranges from 0.02 to 1 and the number of coins per bet line. The minimum and the maximum number of coins which can be placed on a bet line range from 1 to 5 coins. In Charms and Clovers, you will find 40 paylines which will give you multiple chances to make winning combinations with each spin. You have to match at least 3 symbols of a kind on a payline to receive a payout.The combinations on a payline are paid from left to right of the reel with all payouts multiplied by the line bet. Charms and Clovers offer players a wonderful base game but there are various bonus features which make it exciting to play. 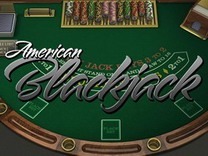 The slot has a bonus reels which offers players wonderful prizes. You will find a money wheel, mega symbol, golden bonus and pots of gold which all provide amazing prizes.To trigger the money wheel you have to land the money wheel symbol on the sixth reels filling all four spaces. This will award you bonus prizes 4X, 5X and 15X your total bet and if you are lucky you will have a chance to win the mini jackpot or up to 40X your bet, a chance to play the mega wheel which offers prizes up to 100X your bet or even a chance at the giant and colossal jackpots.There is also a mega symbol which awards a special 3 X 3 leprechaun symbol which will be added during the free spins feature. 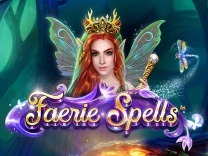 This will award you 8 free spins, giant and small leprechaun symbols combine to award a big win. 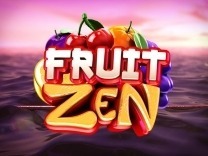 This symbol can only be triggered on the 6th reel.There is also a pot of gold feature where players are awarded 8 free spins when you land the triggering symbol on the 6th reel. During this gameplay, you have the chance to add 1 to 3 wild symbols on the reels.A Golden bonus feature will activate a second golden bonus screen. 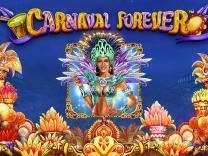 You have to choose one of the 5 pots of gold so as to reveal a credit prize of up to 20X your bet. To activate this feature you have to land the triggering symbol on the 6th reel.Finally, there is the wild symbol which awards up to 10,000 coins and will substitute all other symbols on the slot. you can also earn an extra matching symbol on the 6th reel for mega wins.